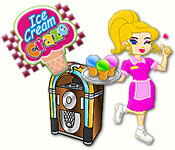 When Jan`s parents decided to retire, she always assumed she would be next in line to run the family ice cream shop. 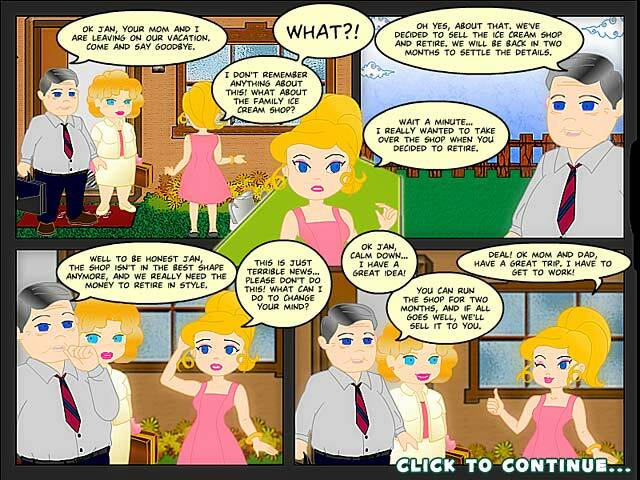 Little did she know that the beloved shop had fallen on hard times, and to make matters worse, her parents had decided to cut their losses and sell the business. 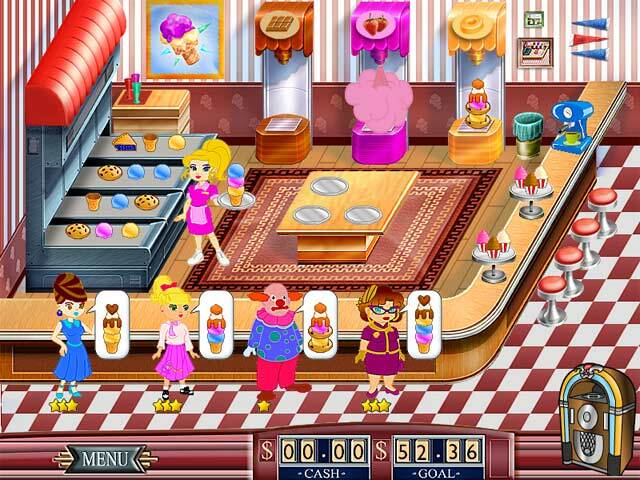 Help Jan keep the ice cream shop in the family as you create desserts, serve customers and purchase upgrades along the way. Dozens of upgrades to buy. 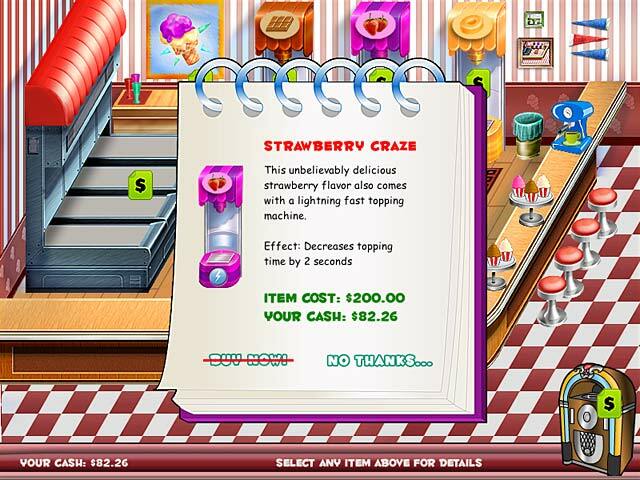 Ice Cream Craze is rated 3.3 out of 5 by 6. Rated 3 out of 5 by J9CT from Not as good as Tycoon Takeover!!!! This is a fun, good for playing in-betweener game. Just like Tycoon Takeover your wrist will ache due to the fast pace of the game. The graphics aren't that good but you will have fun though so give it a go. Rated 3 out of 5 by SylvanNun from If you enjoy having your hand ache from constant clicking... Not that I actually DO enjoy games that give me carpal tunnel but the faster-paced the game is, the more I seem to enjoy it. I've found only one game that is has been entirely impossible for me to achieve an expert level score- (which is Burger Mania)- this game, however, is achievable though it remains a fast one. The annoying part is that your character moves pretty darn slow the entire time so you have to click on things in advance and check marks DO NOT show up so you can make sure you've clicked on things in the right order. This could be looked at as an annoyance or as another challenge. An occasional cup of coffee does brew up which helps for a short period of time. Though the graphics are pretty poor and they throw in random clowns and robots into the people character mix, it's still one I've played again several times since I bought it years ago. Perhaps it's a nostalgic thing. Again, there are much better time management games out there these days but it's one that is still kinda fun just b/c of the fast-click factor. Rated 3 out of 5 by sylnelson from Love the challenge Game is a lot of fun...Just EXTREMELY frustrating because you have to click on objects several times to pick up...thus losing customers !!!!! No way to click ahead to serve customers faster !!! Been playing for a while and still only get to level 40...out of 60. Rated 3 out of 5 by OhmOmair from Tedious, Not Interesting First Generation Time Management Games A combo of Happy Days & Grease. Rated 3 out of 5 by Ruckus777 from Has Its Issues To start off with what I like about the game, I'll say that the music and character design fit pretty well with the 50s aesthetic. The art was basic, but had its charms. I also liked that the gameplay added more challenging details as time went on, like double scoop or fudge. Otherwise, I didn't enjoy this game. Sometimes it was hard to pick things up, or it took too long to get from one place to another and then money from a customer would disappear. I wish there was a visible action queue, because when I would log actions it wouldn't register one part of the process and I would have to throw the ice cream away. I thought it was a good detail that the ice cream thrown away cost money, but oftentimes it was just inconveniencing. The customers were too impatient, and the conveyor belt idea was just strange. I didn't care for this game, and I stopped playing about halfway through the demo. It had its moments, but overall it wasn't my cup of tea.